RG: Tell us about yourself and your love for travelling. DC: Well, I’ve been a freelance writer for about seven years now, but my love of travelling goes back much further. I love discovering new places, new people, new cuisines… to me it’s natural to keep looking over the horizon. RG: Wow! We share a similar work experience. Even I started as a freelance writer many years ago and I loved every bit of it. Coming back to your work, it offers a wide range to choose from journalistic writing to travel books. How has the experience been working on different platforms? Which creative route defines you the most? DC: As long as I’m writing, I’m happy. But my real loves are the longer forms – novels, travel memoirs, narrative non-fiction. Hopefully you’ll see more of that from me in the future! RG: I understand that your latest release “Ka Mate: Travels in New Zealand” , is about travel, yet it is a memoir! Why did you opt for this “fusion”? Do you think plain travel narratives are boring or lending a personal story to your travel anecdotes was a writing style that came naturally to you? DC: I think all travel books are to some extent a personal journey of discovery. They tell us as much about the author as they do about the place itself. I’m also a big fan of the literary travelogue, though – authors like Jan Morris, Colin Thubron, Paul Theroux – and I worry that it’s a dying art form. Hopefully “Ka Mate” can help bring it back! 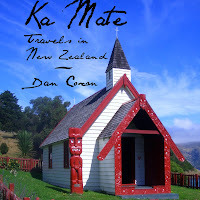 RG: I have yet to visit New Zealand so I enjoyed reading your book and see New Zealand through your eyes by reading “Ka Mate”. Can you name some of the beautiful places/sites in New Zealand that are covered in your book? DC: Where to start? It’s such a beautiful country, from the towering trees and warm climate of Northland to the rugged empty spaces of the South Island. I cover the country from top to bottom in the book, walking through fields of boiling mud, over the tops of glaciers, across a beach dotted with sleeping seals… it’s hard to pick only a few! RG: I can visualize the picture you described, sounds like a great place to visit. What are the things/sites a traveller can know about Scotland by reading your book, “The Wee Book Of Scotland”? DC: That book is very different to “Ka Mate”. It’s intended more as a humorous souvenir, or a small Scottish gift. There are historical anecdotes, plenty of facts, a few recipes. It’s just a small sample of what Scotland has to offer. RG: What do you think your books offer in terms of “originality” and “uniqueness”? DC: I like to think that my voice is fairly unique, and that I’m able to touch upon more serious matters, like local history, while still being entertaining and fun. I’d hope that readers would walk away from both books entertained, but also feeling that they’ve learned something new. RG: I think the book which provides “Infotainment” (Information+Entertainment) is a well-rounded book, I am sure readers will love your book. List 3 suggestions/writing tips for those who want to venture into writing travel books. DC: The first two tips are obvious: travel, and read. There’s no substitute for visiting foreign countries yourself, and the more you read, the better writer you’ll become. I’d also advise them to be open to all new experiences, no matter how strange or wild – say yes to everything! DC: Book blogs are obviously a relatively new addition to the literary scene, but they’re already invaluable. The most exciting thing for an author is to be able to reach a new audience, and book blogs do that better than any other medium. It’s great to see that the readership community still exists – it just moved online. RG: Well-said! So, how much time did it take for you to complete each book? What was your routine for writing? DC: The “Wee Book” was completed very quickly, as it’s pretty short. “Ka Mate” took much, much longer. I wrote in notebooks the entire time I was travelling, then when I returned I had to try and turn that into a coherent narrative, rather than just a collection of uncollected incidents. I’d say it took somewhere between 2-3 years to get the manuscript to the stage where I was happy with it. As for my writing routine, it differs depending on what journalistic work I have going on – but it always involves coffee! RG: *laughs* I agree, there is no substitute to a hot cuppa coffee! Are you inspired by any particular author? Who is your favourite author? DC: There are so many authors that I love, across so many genres. When it comes to travel writing, though, I return to Rory Maclean time and again. DC: Undoubtedly Venice. It’s sheer beauty and palpable sense of history take my breath away every time. DC: That’s more difficult… I like to try new things all the time. I do love a good tapas bar, though, preferably somewhere in Barcelona. RG: Tell us about the craziest thing you ever did while travelling. DC: Many of those made it into the “Ka Mate” book – abseiling into a subterranean cave, throwing myself off the top of a mountain… Given that I don’t swim, though, I think jumping off the back of a boat at the Great Barrier Reef without a patch of land in sight has to be up there among the craziest. RG: Really??? *surprised* Now that is the height of adventurous spirit! Any place (romantic island or resort) in New Zealand or Scotland which you recommend for romance lovers? DC: In both places the most romantic thing you can do is get away from society completely, and find a secluded glen somewhere. New Zealand’s wine regions are perfect for those who like their romance a little more tamed, though. 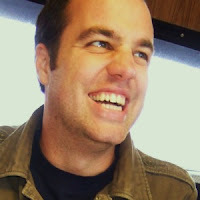 DC: I love watching movies, and actually write an occasional movie blog too (www.theflickerproject.com). I’m not sure if that counts as free time or not. I’m always reading, writing, or thinking about writing! Life is... best lived on the road. Travelling is... the best way to discover yourself. RG: Thanks so much for appearing on my blog. 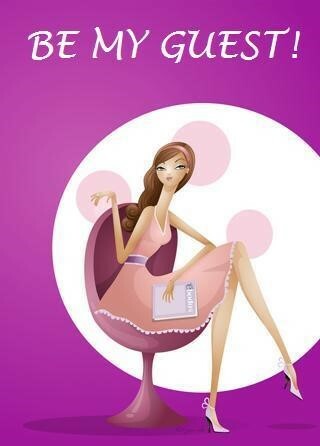 Wish you all the best for your books!